When traveling to a brand new city that you have never visited before, I believe it is important to learn as much as you can about the culture (and history) about that place. I know that It can be a bit challenging knowing where to start when booking tours while planning your own trip. So in this post I will give you a review of one of the best travel tools out there: Get Your Guide. 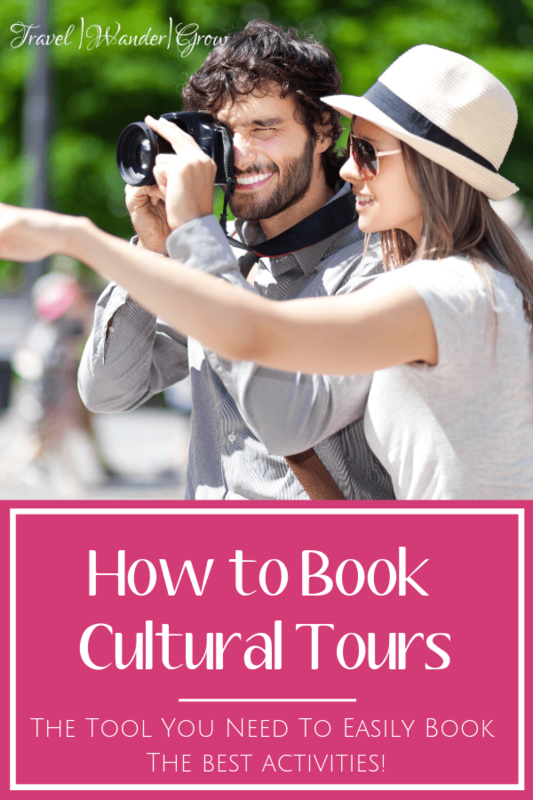 I will also provide my personal tips and tricks for booking tours as easily as possible. I think this is the most important reason for booking a local tour, as you can learn so much when interacting with people from different cultures and ways of life. Your tour guide can provide so many insights into how life in the city you are visiting differs from that of your own. Additionally, increasing your understanding of a new culture will ultimately help you grow as a person. 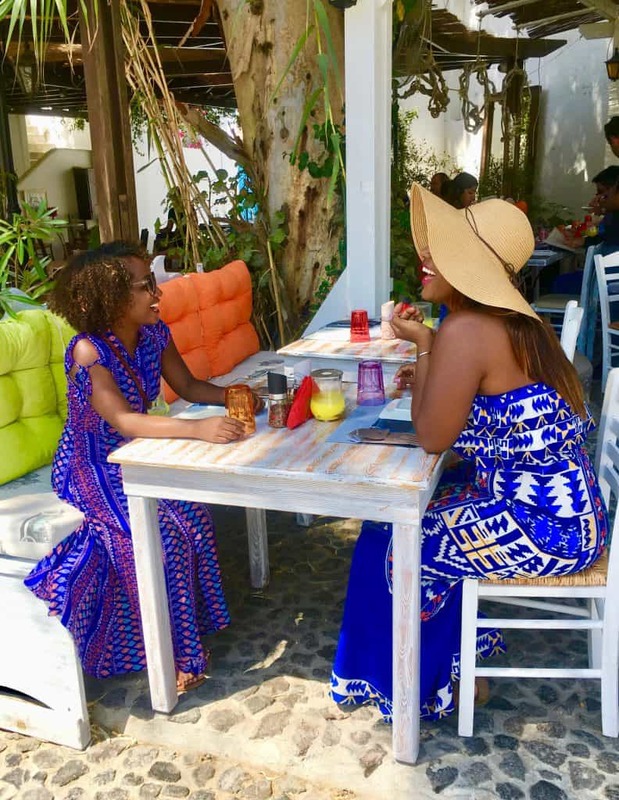 This will also help you “live as a local” while visiting the city, and truly soak up the experience of being in a different place. One thing to note, don’t limit your interaction with locals to your tour guides, of course! Take the time to strike up a conversation with others you encounter throughout your trip :). If you are even slightly a history buff like me, the right tour can offer you so much information on the history of the city. If you already know the broad history of a city (such as a well-known city like Rome), you can take a tour that focuses on something in a more specialized area of history. Learn about the history of a certain neighborhood in a larger city, or learn more about food history. The possibilities here are almost endless. Now, if you are not visiting a city for the first time, or are staying in one city for many weeks, take a tour that gives you a chance to explore the city’s hidden gems :). This is a great way to broaden your knowledge about the city. I don’t know about you, but I love to eat! Food tours are very popular, and it is often possible to find tours that teach you to cook like a local as well. This is a great “souvenir” of sorts to take home, as you can keep those recipes in your repertoire forever! Get Your Guide is one of the best travel tools available due to the extensiveness of tours it offers and because of how easy it is to use the site. Another great thing about this site is that it serves as the connection between you and many small travel agencies that you may not have been able to access otherwise. My #1 favorite feature of this site is that you have up to 24 hours before the tour starts to cancel. So if you are a bit indecisive, or something comes up, you have an easy way out :). I have been using this site consistently for booking travel for the past several years and have never had one issue. At the top of the homepage you can easily change language and currency options. You can also access all current bookings and history by clicking your name at the far top right corner. 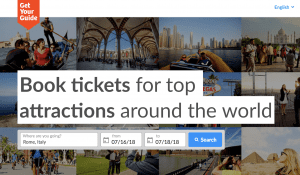 This page also provides recommendations on which tours to book based on recent searches, as well as top attractions and destinations around the globe. This is a great help if you aren’t quite sure where to begin your search. The site will also remind you of which activities you have recently viewed. So you won’t lose your searches, even if you don’t save them! I usually start the booking process by first typing in the city and the dates for my travel in the colorful header on the homepage. After inputting that information, you will scroll down the list to see what options are available. Once you see something that you like, go ahead and select that option. 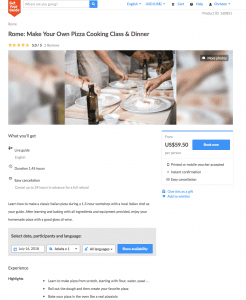 In my example, I’m choosing a Make Your Own Pizza class in Rome :). 3) Review activity details and book your tour! Once you arrive to the page for the activity you’ve selected, you’ll see more details. These include the language of the guide, overview of what’s included in the tour, how long it lasts, and total cost. If everything still looks good after reviewing the details, you’ll scroll to the middle of the page to put in the exact date and number of people in your party to confirm availability. From there you’ll be able to add the tour to your cart and checkout. The steps that follow will vary based on the tour company that manages the tour, but often you’ll receive a follow-up notification from the tour company. Also, if you ever need to contact the tour company directly, the information can be found under your bookings once confirmed. Golden Circle Afternoon Tour (Iceland): The Golden Circle is one of the most famous attractions in Iceland, but it’s really easy to see why once you travel through it. 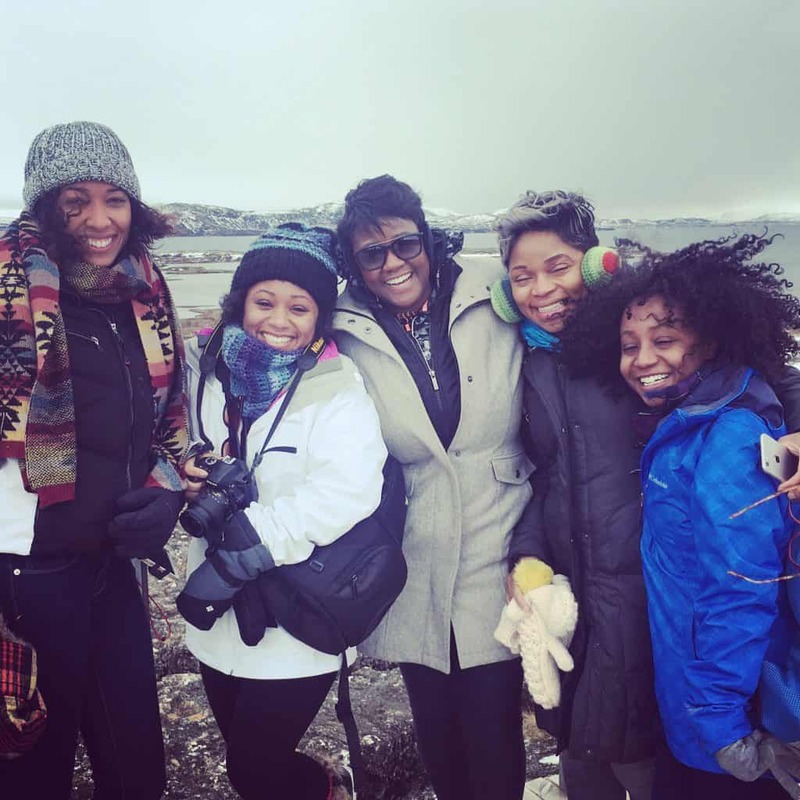 This tour took us to the famous Geyser (for which all others are named), the Gulfoss Waterfall (simply breathtaking), and Þingvellir National Park (site of the continental divide). Our tour guide was so charming and took the time to explain Icelandic culture while we traveled from place to place. 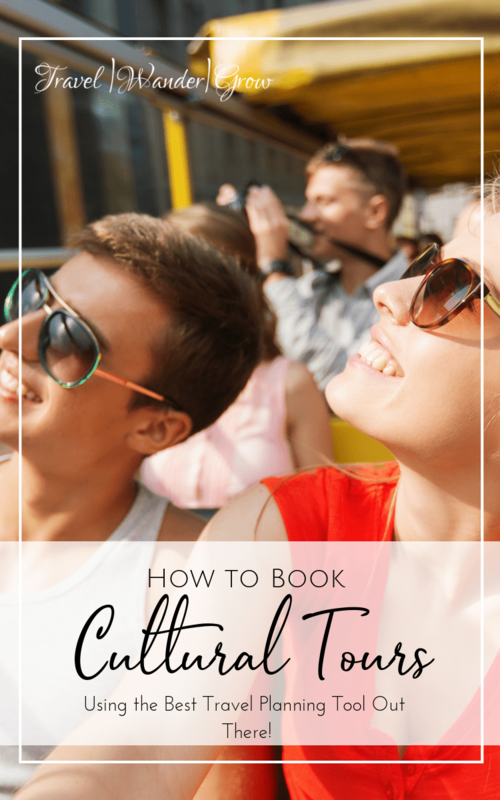 Full Day Bus Trip to South Santorini and Akrotiri (Greece): So I initially booked this tour simply because I wanted to visit Akrotiri (Greece’s Pompeii), but the tour offered so much more! In addition to visiting Akrotiri, we also stopped at Megalochorio (a really cute and colorful town), the black sand beach of Perivolos, and a winery offering beautiful views. Chiang Mai Elephant Sanctuary Small Group Ethical Tour (Thailand): Elephants are one of my favorite animals, so visiting a sanctuary was at the top of my list when visiting Thailand. This experience gave us the chance to feed and bathe the elephants and was an awesome experience! If you didn’t take away anything else from this post, consider taking a tour on your next trip to a new city! 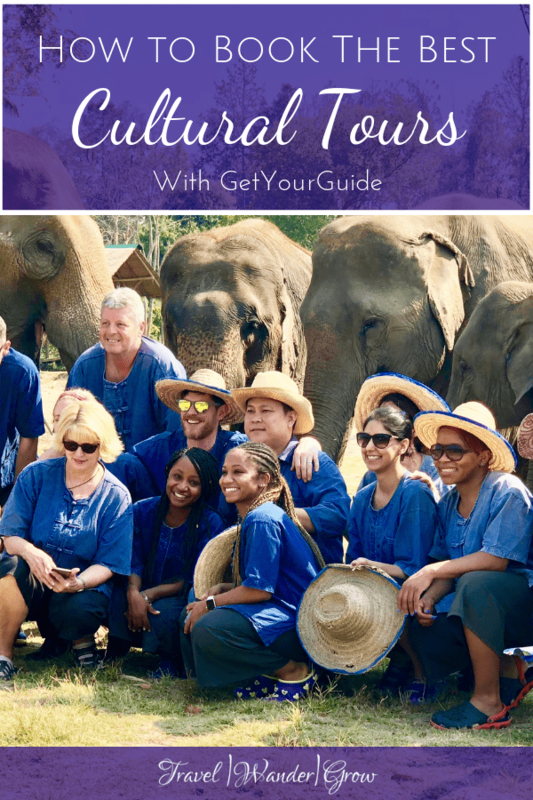 I really do believe that Get Your Guide is one of the best travel tools to help you do this, so I hope you check it out :). Yes, it totally is! I try to do a least one tour in any new city, or city that I haven’t visited in a while. I’ve never used GetYourGuide but sounds great and I’ll be keen to try it out! I usually get my guides by asking my hotel who they recommend, but i’ve also been curious to try out AirBnb’s new tours as well.. something every intimate about it! You certainly should! And same – I’ve been meaning to check out the AirBnb tours as well :).